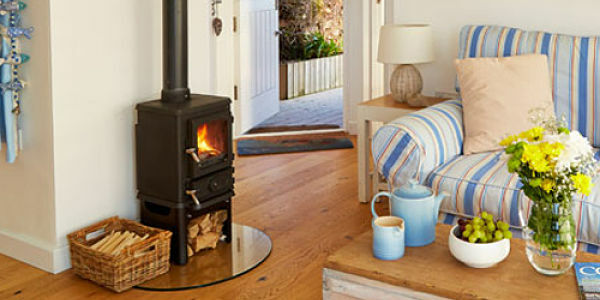 Updated 2019: Very small log burners are the perfect choice for small fireplace recesses or small spaces such as sheds, offices, snugs, boats, caravans, yurts etc. 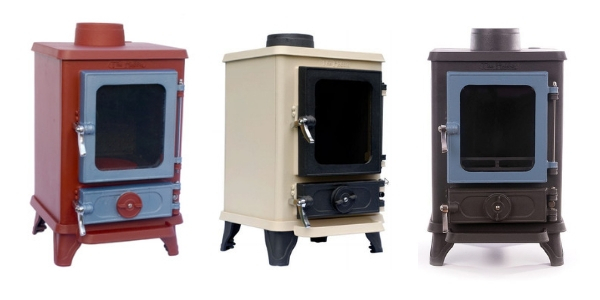 One of my favourite small stoves is the cast iron 4kw Hobbit, by Salamander Stoves at approx. £500. Salamander are a small family company based in Devon and their cast iron Hobbit stove really is a nice looking small stove with bucketloads of character. The company offer many different choices of colour and a variety of different brass fittings. The Hobbit is DEFRA approved (available in DEFRA or NON-DEFRA) so can if required burn wood in a smoke control area and can be fitted to a 5″ chimney liner or flue (making lining a chimney much easier than for a 6″). Various colours are available. A log store (plinth) is also available as shown in the above image. This small wood burner actually throws out a very respectable 4kw of heat and this is often sufficient for a small British lounge and certainly plenty for smaller spaces such as canal boats, snugs, offices, holiday homes etc. The Hobbit is only 30cm wide, this making it an ideal choice for small fireplace recesses (can be fitted into a 40cm wide recess). The Hobbit is also available with a boiler. It has a 4″ collar so my recommendation is that a 4-5″ vitreous adaptor is fitted so that a 5″ vitreous pipe can be fitted (easier to sweep than a 4″ flue pipe). As with any of the smaller stoves the firebox is quite small and so you will have to chop your logs a little smaller than for larger stoves. Four or five smaller logs will throw out a lot more heat than one larger log. Quality is spot on and I have never (as of updating this Aug 2014) had a faulty Hobbit reported – and I sell a lot of Hobbits! As a fitter I really liked the Saltfire brand offering a few models that can be fitted into standard 16″ wide fireplace recesses. This means that you can still have a 5kw stove with a reasonable size of firebox, they are also excellent value for money. 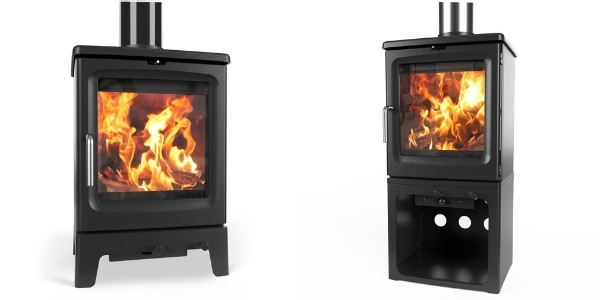 At Stovefitter’s we are excited to see the coming launch of the Peanut 3 that could be a strong contender for best compact stove. With a stunning simple and contemporary design, made of cast iron for incredible durability and also available in standard and tall we are eagerly awaiting it’s release this summer (2019). Note that if your recess is “a bit tight” left to right try to have a good air gap above the stove so the heat can escape into the room.